The west gate of Birdoswald leads straight down the former main street of the Roman fort, the via principalis. The intervallum road ran around the inside of the fort walls and adjacent to the archaeological site stands a 17th century farmhouse. Now providing accommodation for visitors, the earliest section of the farmhouse (east of the porch) dates from the late 17th century. 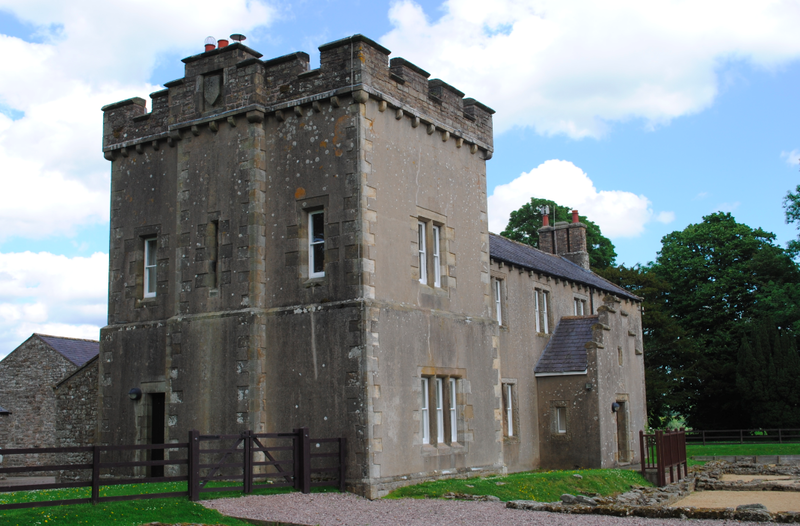 The central part, excluding the tower and porch, was built in the mid 18th century by Anthony and Margaret Bowman. The tower and porch were added in 1858 by the then owner Henry Norman, giving the building its current form. 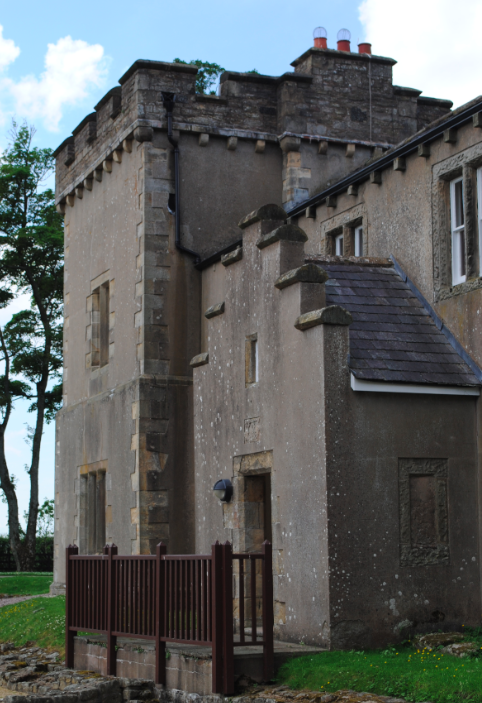 Constructed of coursed rubble masonry, the rendered building features a castellated gabled central porch and a two storey tower with battlements in the form of a tower house. The 16th century was the age of the reivers, the border robbers and bandits who made cattle rustling and theft a major industry on both the Scottish and English sides. Special Border laws and customs evolved in the area to deal with the common feuds and troubles. By the late 16th century, the Birdoswald farms were tenanted by members of the local Tweedle clan and bastle houses, such as at Birdoswald, were typical of the type of defensive building constructed as protection from such attacks. Steps were taken to suppress the reivers after James I became king. 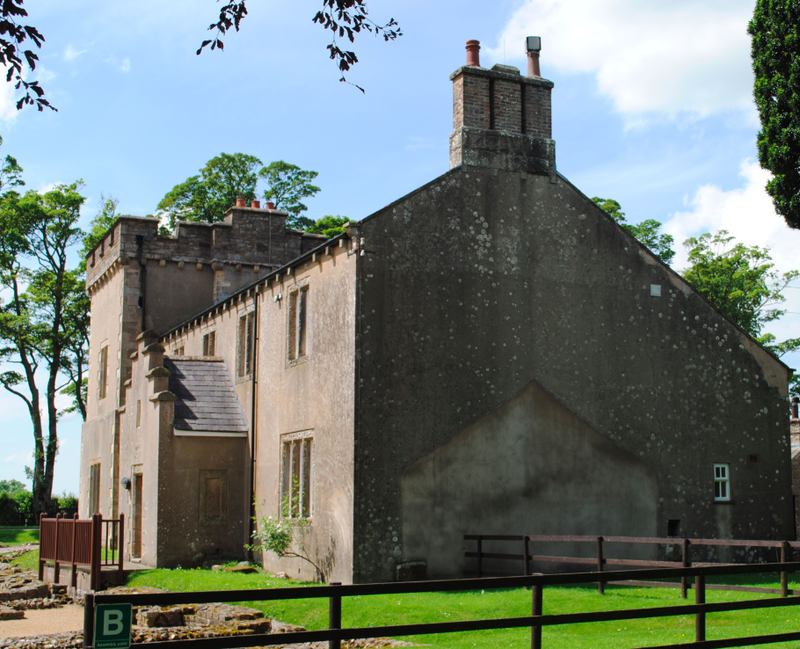 In 1599, Birdoswald received its first known antiquarian visitor, Reginald Bainbrigg, a schoolmaster from Appleby. 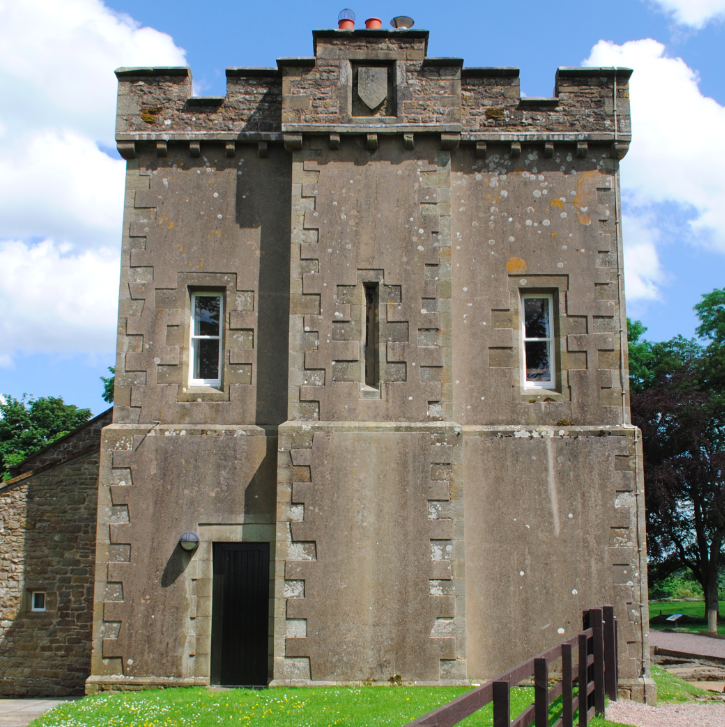 In 1603 landowner William Howard, 1st Earl of Carlisle and known as Belted Will, commissioned a survey of the Barony of Gilsland which recorded the bastle house at Birdoswald. By the mid 18th century, the tenant farmers of the Barony of Gilsland had become freeholders. Anthony and Margaret Bowman added the main part of the house in 1745, the year of the Jacobite Rebellion. During the 1840’s, the Birdoswald Estate was purchased by Henry Norman who developed a strong interest in the fort and its history. He was the first person to employ archaeologists to conduct excavations on site. Henry Norman added a tower and a porch to the farmhouse, giving it the appearance of an imposing medieval building as it was fashionable at the time. Norman loved the place so much that he named his son Oswald and in 1901, Oswald auctioned off the estate and sold his father’s collection of sculpture and inscriptions to Tullie House Museum in Carlisle. The farmhouse is Grade II Listed.